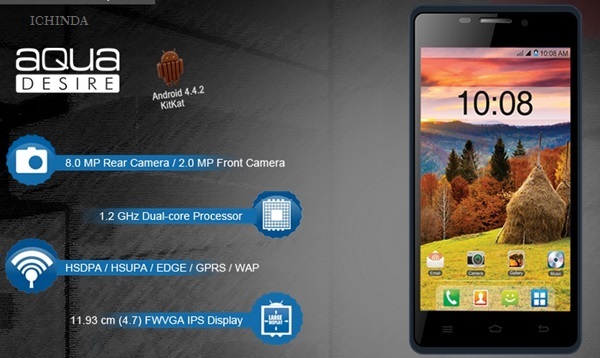 To attract the budget phone lovers, Intex has launched it’s latest budget smartphone Intex Aqua Desire featuring 4.7”-inch Display, Android kitkat 8-MP+2-MP Camera in Indian market on 2nd February 2015 priced at Rs 5,550 in White, Blue, and Grey colour option. It will lock horn with Xiaomi Redmi 1S. At last few honest word, Intex Aqua Desire is the best budget phone under Rs 6,000 but need to offers 1GB RAM. What you think? Please be first to write a review.